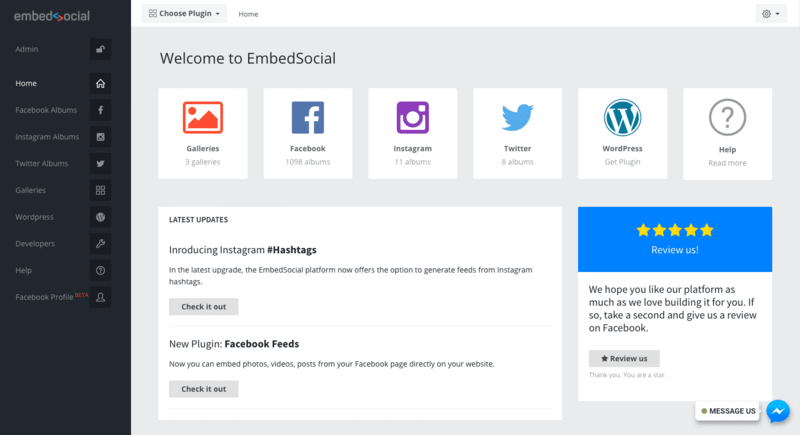 After creating an account for EmbedAlbum and starting your free trial or subscription you will get an access to the platform. Your login details are the email address and password you’ve entered during the sign-up process. To access the admin panel click here to log in. Once you are in, you will enter the home screen, where you can choose what you want to do. Click Twitter to create web albums from a specific Twitter hashtag. We are here for you to reply to any questions you might have. So, feel free to chat with us!